Beer Pairings: NHL Thanksgiving Showdown Edition Part 1: New York – Now Beer This! I won’t go so far to say that I don’t hear any hip hop at hockey games (which is why I skipped three of my favorite New Yorkers, the Beastie Boys, because hearing “Fight For Your Right” is always within the realm of possibility). However, the first track off the 1993 opus Enter The Wu-Tang (36 Chambers) would be such a good soundtrack to warming up on the ice. Plus, I’d like to welcome discussions from Rangers fans who might agree that Henrik Lundqvist is the RZA of the Rangers. Too much? The Yeah Yeah Yeahs have always exemplified a certain “cool factor” to me. 2004’s Fever To Tell is such a great gritty rock record, and fitting with the brash nature of hockey. Although I’m not a fan, the Rangers are definitely one of the cooler NHL teams. They play in a venue that’s housed some of the most amazing concerts in history, and is very much a New York City landmark. When the sticks go down and the gloves come off, this is a song I would totally be down to hear. Now that the Islanders are in Brooklyn, there could be hope for hearing something from these natives at one of their games, but I wouldn’t count on it at the Garden. Another song I could absolutely picture during a fight, but have never heard. When I was younger the Ramones were my quintessential New York punk band, but as I got a little older (and also after meeting Sylvain Sylvain and David Johansen when they played venues I worked at) I’ve grown to appreciate the New York Dolls so much more. I picked this one not only because it’s a “greatest hit” but also because it’s interesting (to me) to think about Todd Rundgren in the studio with them producing it. “Psycho Killer”- Talking Heads- from Talking Heads: 77, 1977 Sire Records. I would love to hear this song during a shootout, or three on three overtime. It has definitely been on the soundtrack to lots of great things, but hockey games have yet to make that list. I tried this recently at the Elm City Brew Fest and thought it was fantastic. Dark lagers are a style that I wish more breweries would come out with during the winter. It’s nice to have something that has the crisp body of a lager with the roasty maltiness of a brown ale. Brooklyn’s new lager is the pumpernickel bread of beers. Bready and delicious, and just over the session beer mark at 5.6% alcohol. Another Brooklyn-based brewery, but much different from the one with the borough’s namesake. 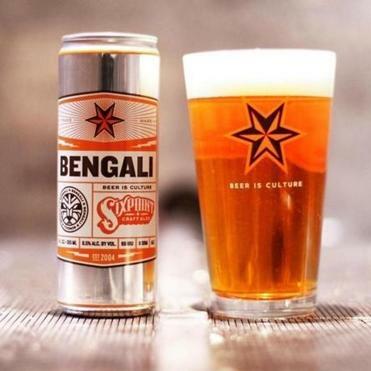 Six Point’s Bengali IPA is a beer that I nearly always forget how good it is. It’s accessible, and usually has a good price point (which means it might *almost* be affordable even with hockey arena inflation). At 69 IBUs, you know it’s an IPA but it won’t destroy your palate to the point where you won’t be able to taste one of those sweet, sweet Nathans’ hotdogs served at MSG. Pale Ale- Bronx Brewing Co. Upon researching this beer, I discovered that the Bronx Brewery has changed some of their packaging. Looks like the recipe of the pale ale hasn’t changed, with a grain bill featuring pale ale greatest hits like Crystal, Vienna, and my personal favorite, Maris Otter. I do still hope it comes in the tallboy can though. 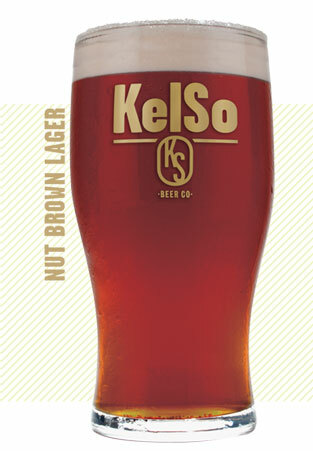 Nut Brown- Kelso Beer Co. I often forget that there’s another Brooklyn brewery. With a taproom located in Clinton Hill, it’s easy to make a stop at Kelso Beer Co. on a Brooklyn beer tour. This one is another lager, but a little sweeter and toastier than Brooklyn Brewery’s offering. It also features one of my favorite hop varietals, Fuggle, that along with Hallertau and Northern Brewer, give a bit of spiciness without being too bitter (it’s only 19 IBUs). Captain Lawrence isn’t in New York City, but the new location in Elmsford is only about 45 minutes out. The Captain’s Kolsch is the lightest color beer on this list, but certainly not light in flavor. This one features Columbus hops, as well as Crystal, which is a newer varietal that has roots in traditional German hops like Hersbrucker and Hallertau. This is absolutely a beer you could drink for the entirety of a game and not get bored with. The complex flavors that come with the kolsch style keep it interesting, and the 5% ABV allows you to have more than one to figure them all out. Stay tuned for part two, where we pick tunes and beers from the Boston area! Posted on November 26, 2015 October 18, 2016 by nowbeerthisPosted in ReviewTagged beerpairings, brooklyn, hockey, newyorkcity, review, thanksgiving.